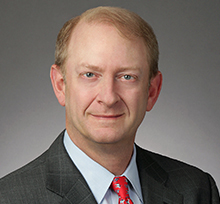 Steve Best is Chair of Brown Rudnick's White Collar Defense and Government Investigations group. He advises clients on all aspects of corporate governance including complex internal investigations, U.S. Securities and Exchange Commission enforcement, Foreign Corrupt Practices Act and compliance strategies, grand jury and independent counsel investigations, parallel proceedings, complex civil litigation, and trial practice before federal and state tribunals. Steve was lead counsel in the successful defense of Mark Cuban against the SEC's charges of insider trading. Steve has represented numerous companies, both public and privately held, as well as various individuals in multiple, separate FCPA investigations. Steve has also represented numerous public companies before the NYAG investment protection unit and represented a public company in parallel SEC and DOJ investigations surrounding allegations of questionable valuations in the company's asset portfolio. Steve is a regular lecturer on criminal law and procedure to bar associations, and state and federal law enforcement agencies. He has been lead chair on approximately two hundred jury trials and hundreds of bench trials. He was previously a professor at the University of Virginia National Trial Advocacy Institute. Before joining Brown Rudnick, Steve served as the Co-Chair of the White Collar Defense group at a large, multinational law firm based in New York and, prior to that, was a prosecutor for almost ten years serving as an Assistant United States Attorney in Washington, D.C. and an Assistant Commonwealth's attorney in Fairfax, Virginia. Primary counsel to numerous US and private issuers, including Fortune 100 companies, on anti-corruption compliance, pre and post-acquisition anti-corruption due diligence, and regulatory defense matters. Retained as an expert witness on FCPA and anti-corruption compliance policies and procedures for an international arbitration in Oslo, Norway. Conducted international corruption investigations for numerous US issuers, Fortune 100 companies and private issuers. Led a multi-year global corruption probe of a private issuer who had uncovered evidence of potentially corrupt payments to Indonesian tax officials. The matter resulted in a world-wide review of all FCPA compliance issues and final report to the Board of Directors. The company was acquired by a UK issuer who themselves were on probation before the Serious Frauds Office for illicit payments in violation of the UK anti-bribery statutes. The acquirer conducted three months of due diligence and agreed with factual and legal conclusions regarding American law. There was a voluntary disclosure to the UK SFO that resulted in a no action letter and no referral to US DOJ. This appears to be the first known example of an exception to the bilateral cooperation agreement between DOJ and the SFO. Represented CEO of a Russian joint venture company in an FCPA and accounting probe. Represented two executives of Panalpina in DOJ and SEC investigations related to FCPA probe. Represented CEO of AGA Medical Devices in DOJ FCPA probe involving allegations of kickbacks to Chinese doctors and hospitals. Matter resulted in written declination of prosecution by DOJ. Represented US issuer in DOJ FCPA probe regarding hosting and entertainment issues of Chinese bank officials. Matter resulted in written declination of prosecution by DOJ. Representation of the Dallas Mavericks of the National Basketball Association in an investigation regarding allegations of misconduct in the workplace. Lead trial counsel in the successful defense of Mark Cuban against charges by the SEC of insider trading. On October 16, 2013, Mr. Cuban was found not liable by a nine-person jury. The jury deliberated for less than four hours, before finding in favor of Mr. Cuban on all substantive counts. Represented Lucent Technologies’ senior executive in an SEC enforcement trial case regarding revenue recognition issues. Summary Judgment was granted against SEC with respect to all fraud allegations. Represented Zurich Financial in multi-state criminal and civil investigations before 37 State Attorneys General, as well as class action defense surrounding issues of price-fixing and bid-rigging. Matter resulted in numerous global multi-state settlement agreements. Represented Delta Petroleum in parallel SEC and DOJ investigations of accounting and disclosure issues surrounding stock option grants and expensing. Matter resulted in a declination of prosecution by the USAO-SDNY. Represented TeleTech Holdings, Inc. in SEC investigation and class action defense of accounting and disclosure issues surrounding stock option grants and expensing. Matter resulted in cessation of SEC probe with no regulatory action and a settlement with the class plaintiffs. Represented Enron Corporation’s former vice chair in parallel proceedings before Congress, the SEC and the Department of Justice. Represented Republican National Committee Chairman Michael Steele in a DOJ and FEC investigation relating to allegations surrounding campaign spending. DOJ investigation concluded with a declination of prosecution. Represented CEO and COO of Chicago Bridge & Iron in Audit Committee and SEC investigations surrounding accounting and disclosure issues. Matter resulted in no regulatory action being taken against clients. Represented numerous witnesses in the KPMG criminal tax investigation before the USAO-SDNY. No client was ever prosecuted by USAO-SDNY. Represented numerous witnesses in the Royal Dutch Shell parallel SEC and DOJ investigations surrounding allegations of over-reserving. No client was ever prosecuted by USAO-SDNY or charged by SEC or U.K’s Financial Service Authority. Represented a senior executive of Japan Air Lines in a DOJ-criminal antitrust investigation relating to allegations of price-fixing. Client was never charged by DOJ. Represented numerous witnesses in the Interpublic Group Companies SEC investigation surrounding issues of the company’s restatement of financial results. Clients were never sued by SEC. Represented Global Crossing, Ltd.’s Special Committee on Accounting Matters of the Board of Directors in an SEC inquiry. Represented a Fortune 100 Company’s Special Committee of the Board of Directors in an internal investigation in anticipation of a derivative action. Represented Arab Bank in a DOJ investigation. Matter resulted in no regulatory action by DOJ. Represented brokers and mutual funds in parallel investigations by the New York State Attorney General and the SEC into market timing and late trading. Matter resulted in declination of prosecution by the NYAG and a civil consent decree with SEC with no admission of liability. Represented a leading insurance company in an internal investigation of alleged market timing practices. Represented an individual in a Department of Commerce/Department of Justice investigation regarding alleged unlicensed exports to an embargoed country. Represented an individual indicted for embezzlement, resulting in an acquittal on all counts at trial. Represented numerous public companies before the NYAG investment protection unit. Listed in the 2018 edition of Chambers USA for White-Collar Crime & Government Investigations in DC. Sources note, "He cares more about client outcomes than any other lawyer I know - he will do anything from an effort, planning and tactical standpoint to deliver a result."